I love music. Love, love, love. I love many forms of music. Beyond listening, I love to sing. I am currently the choir director at my church and I just find such a great power in music. Something that amazes me about music is that it appeals to any type of “brain.” The logical brain can do music because music has its black and white component (literally in the notes!). It also appeals the the creative brain because you can do so much with music and there is much room for interpretation. My husband and I both come from musical backgrounds. In fact, we met in a choir. So we both have a high value in music. Because of that, we have thus far started our children in learning to play the piano at the start of kindergarten. Brayden started then and Kaitlyn is scheduled to start then. Recently, Brayden’s first grade teacher commented that she can tell he plays an instrument–she can see the benefits of it in the way he thinks. Now, whether or not you are a big believer in the benefits of music, I think one thing that cannot be denied is that music is fun for children. Music is also usually taught in schools. On Becoming Preschoolwise (affiliate link) has a section on how to prepare your preschooler for music in school. My children all love having music as part of independent play. They each have an iPod (that we got for cheap off of our local classifieds) and an inexpensive iPod player. This one is our current favorite. Initially, we did some classical mixed with toddler tunes for Brayden and Kaitlyn. With McKenna, however, I exclusively played church songs for her during independent playtime. I plan to follow the same path with our next baby. McKenna (now three) does now listen to a variety. She has hundreds of children’s primary songs memorized from her years of church songs. I love walking through the grocery store and listening to her sing, “I am a child of God!” and “I love Mommy, she loves me, we are a happy family!” McKenna has a real passion for singing. “Stock up, because music is such an enjoyable way to learn, and it is good for the soul” (page 127). I completely agree–good music is good for the soul. Folk songs, classical songs (while Baby Einstein has its share of media problems right now, I do not hesitate to say their CDs of classical music are fun for children), patriotic songs, church songs…I am also into “mainstream” music and I like to expose my children to at least one good song from every artist I respect. Your child might naturally do this or might need you to get him started. We do a lot of singing at our house. I make up songs constantly. We sing in the car. I sing before every nap and bedtime. We have fun singing. Don’t criticize the “pitch” of your child. Most children sing at least a bit off. Encourage your child to sing and love it. After first reading this idea in preschoolwise, I started doing it with Brayden. You clap a pattern and have the child clap it back. As your child’s skills improve, you increase the difficulty. You can translate this activity to fit into a variety of settings. A long wait at the doctors office can be made more interesting with some leg tapping. Being able to clap a rhythm back that you hear is a great skill to attain. Rhythm clapping is something I often did in tryouts for various choirs, so I added another activity we did at tryouts. It was singing notes back. The conductor (or accompaniast) would play out a sequence of notes and I would have to sing it back. I do this with my children. It helps improve the ear. I start with three notes and do common intervals. There are lots of packs of toy instruments you can buy. Children love these loud things. I haven’t ever taken one, but there are various “Mommy and Me” or “Kindermusik” classes out there. When the time is right for your child, you can also start formal lessons. Take it child by child and talk with the teacher about what he/she recommends. Don’t feel the need to rush. We have started pretty young so far. Our reasoning is that our children have both been more than ready for kindergarten. We knew it wouldn’t be an intellectual challenge and we wanted something to stimulate the mind. We also have half day Kindergarten here, so we have plenty of time for lessons and for practice. 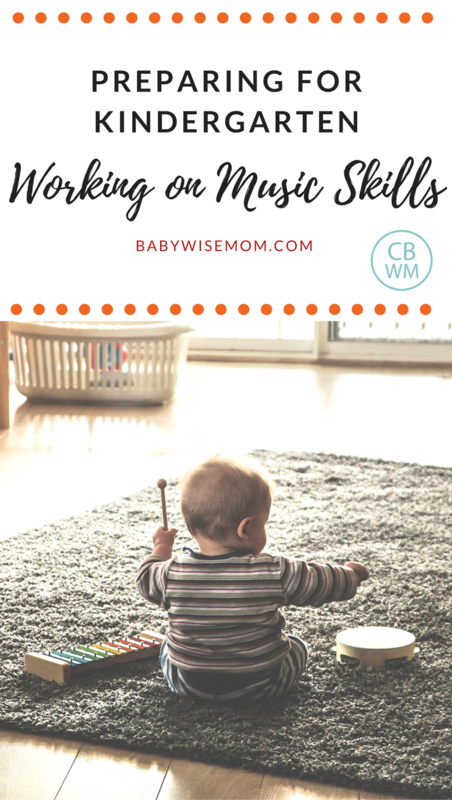 In my opinion, the first few months are the most challenging as the child is learning a new skill and exercising those fingers. After that, skills all build on top of themselves. Thank you for the wonderful tips! I love music, so I definitely look forward to doing musical activities with my daughter. Hi Valerie,Thank you for this post. May I ask for your opinion? I absolutely LOVE music – I can read music, sing, and play the flute. My husband on the other hand is completely tone deaf (I think 90% of his side of the family is also tone deaf). One of my biggest fears is that my 2 year old son and the new bundle of joy we will have in September will be afflicted by my husband's lack of music ability. I can't bear the thought of that! I presently try to incorporate music as much as I can. Do you think that even though the genes are there for my two sons to be tone deaf that I can somehow override them? I realize that perhaps my genes can win out (I had a grandfather that could play guitar, fiddle and banjo and was never formally taught), but is there anything I can do to wire their brains so that they can actually "hear" music correctly and not end up tone deaf? Thanks for any advice! LOVE this post. All my kids love listening to music; the bigger two have CD players in their room with personal CDs. My oldest listens to "hits from the 60s" CDs and absolutely adores the music! We also use music at our house during everyday things like bathtime, washing hands, picking up, saying good morning. The possibilities are endless! There are SO MANY great music programs for kids, many don't involve formal music training. We love Music with Mar. (www.musicwithmar.com) It is an affordable, multi-age class that uses music to teach. Most of all, my kids love it. Kmspillman,I am a music teacher. It is pretty rare for a child to be tone-deaf. Music and singing is actually a learned skill and the vast majority of children can learn how to match pitch. There is somewhat a window of opportunity, though, as it does become harder to learn to match pitch as you get older (it begins to get harder when the voice changes around puberty). Even in teens and adults many who are labeled as "tone-deaf" actually can match pitch but in a very limited range and can improve as they learn to use their voice. The best thing you can do to help your children musically is to sing to them and sing with them. Sing every day and they will have a wonderful start to music. Don't always sing along with CDs or other accompaniment–singing without accompaniment really helps them develop their ear. Plus, most songs on the radio aren't in a suitable range for kids. It also helps to listen to good quality music, too. Look for CDs of folk songs. Wee Sing has tons of appropriate songs for kids. I f you make music a part of your life your kids won't be tone-deaf. 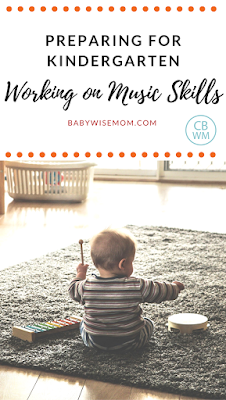 Another good way to prepare kids for music is to move to music–clap your hands, walk to the beat, march, dance, sway, play rhythm instruments with the music, etc. Thank you all for your comments! kmspillman, I don't have any knowledge to be able to base this on–thank you Heidi for chiming in! One of my favorite stories of one of my church leaders is that he was told by one of the leading musical people in the area that he could never sing and he should never try. He wasn't the type to give up, so he worked and worked at it. After several years, he was known to have a very nice voice. So based on that story, I would totally agree with Heidi that in most cases, you can work around musical inability if the desire is there. I think it can be tricky to get a desire in someone to do something the aren't naturally good at, though I think doing so is a great learning experience for a person. On Becoming Preschoolwise has a section on how Piano Lessons La Jolla to prepare your preschooler for music in school.